A ready-to-use nourishing oil that feeds wood and restores the natural oils lost through weathering. Provides a protective barrier against water penetration where constant weathering can cause swelling and warping. 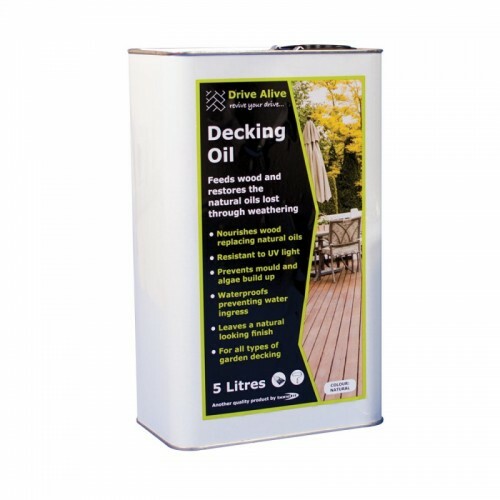 For use on untreated, previously oiled or weathered decking. For all types of garden decking. Ensure that the decking is dry. Do not apply in wet conditions or if rain is imminent. Shake can thoroughly before use. Always test a small inconspicuous area prior to full application. Apply a flood coat using a good quality brush or roller. Apply a second coat once the first coat is dry (approx. 6 hours). Leave 24 hours before subjecting to foot traffic.